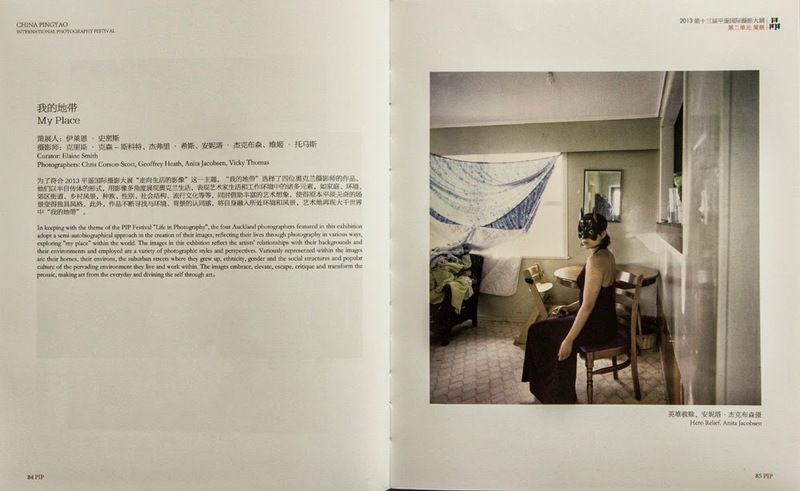 Following on from the first Auckland Festival of Photography's exhibition last year and my two-person show with Julian Ward, which followed PhotoForum's six Auckland photographers show in 2011, the profile of New Zealand photographers is gradually being lifted in mainland China. 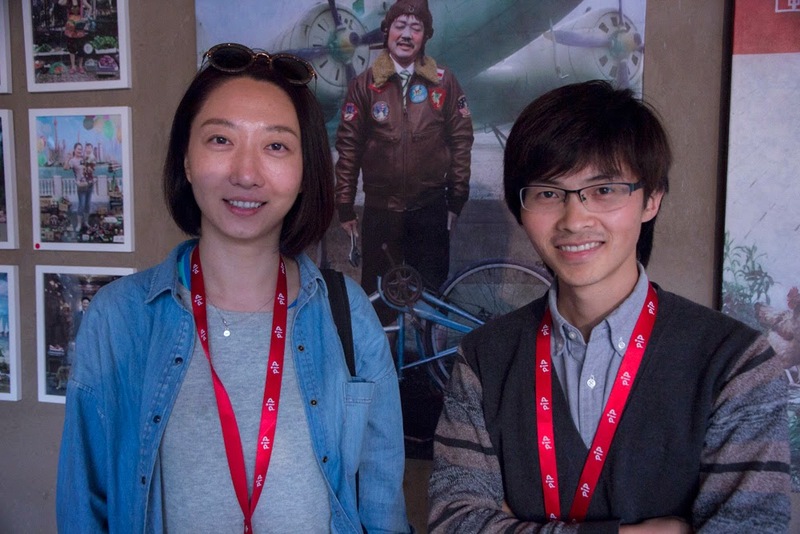 Credit goes to Julia Durkin for hosting PIP artistic director, Zhang Guotian during the Auckland Festival of Photography in June, as part of the effort to coordinate and exchange work from the growing number of photography festivals worldwide. 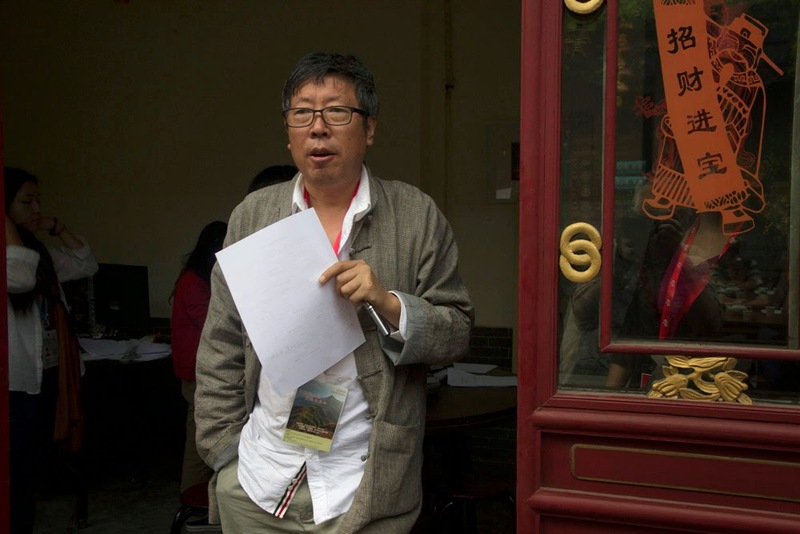 Zhang said he enjoyed his visit and the welcome given him in recognition of Pingyao's aims and achievements. 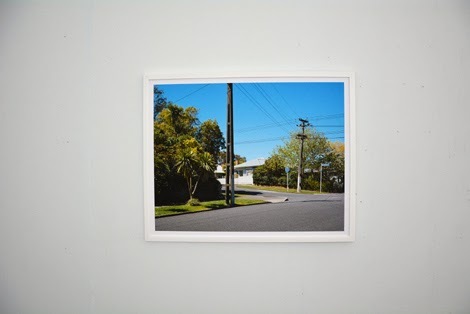 He saw a wide range of New Zealand work at the Festival and visited local archives to study historical collections and curatorial practices. 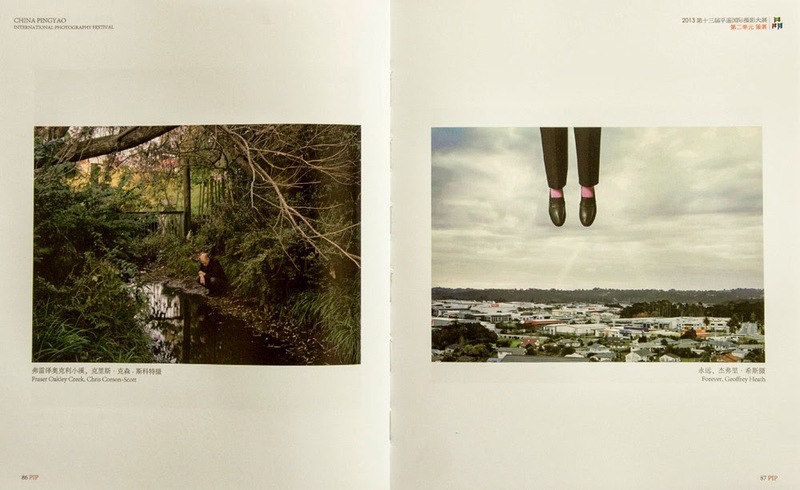 Durkin's right hand woman at the AFP, Elaine Smith, selected work by four Aucklanders to show at PIP this year: Chris Corson-Scott (5 images), Geoffrey Heath (5), Anita Jacobsen (4), and Vicky Thomas (5). 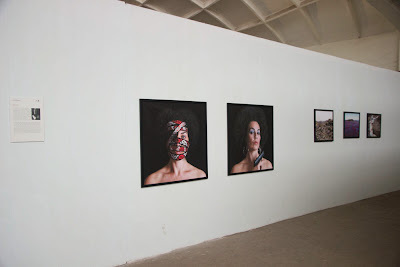 It was a modest beginning for presenting the work of people who have earned this exposure, when compared to the more ambitious solo presentations of PIP old hands, like Don Penny (USA) and Bronek Kozka (Australia), just a dozen metres away. 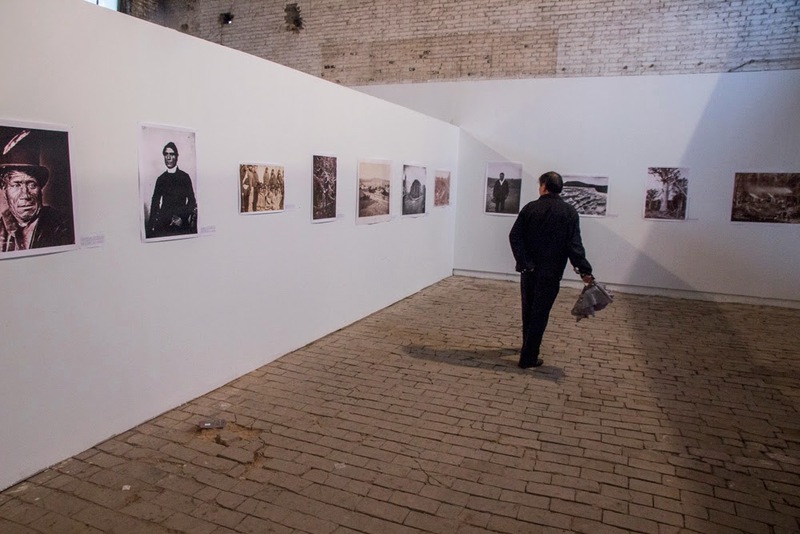 It is a pity that they were unable to attend in person to experience the cacophony if images of all subjects, sizes, and levels of competence that surrounded their work in the old cotton mill and most other spaces. For me, Heath, Jacobsen and Thomas's work was very competent but they are still in the process of finding their full voice. Unlike them, Corson-Scott avoided the art schools, with their growing conservatism, and struck out on his own. Consequently, he seemed to pop out of nowhere with a mature vision, when I first saw his work in the show at Northart that he curated with Edward Hanfling for this year's AFP, and their meticulous preparation for that show convinced PhotoForum and Rim Books to publish their Pictures They Want to Make: Recent Auckland Photography. PhotoForum, Auckland, 2013). Corson-Scott's contemplative, intensely rendered images belie the fact that he is still at an early stage in his development. His thinking is remarkably advanced and more ambitious than most of his peers, partly, I think, because he shares with his late father, the painter Ian Scott, a high level of intellectual enquiry about the nature of form and content in relation to the vernacular. The lighting is always dicey at PIP but if anything, Corson-Scott's prints could have been bigger to dominate the large panels they were on, as they did in Auckland. Not knowing until the last moment where one's work will be shown is a common PIP risk, but it is remarkable how many of the thousands of viewers can tune out the environmental static to take a look at the work itself, no matter how unsympathetic the lighting is. And it reminds me of the NZ National Art Gallery's reliance on daylight to illuminate its collection only 40 years ago. 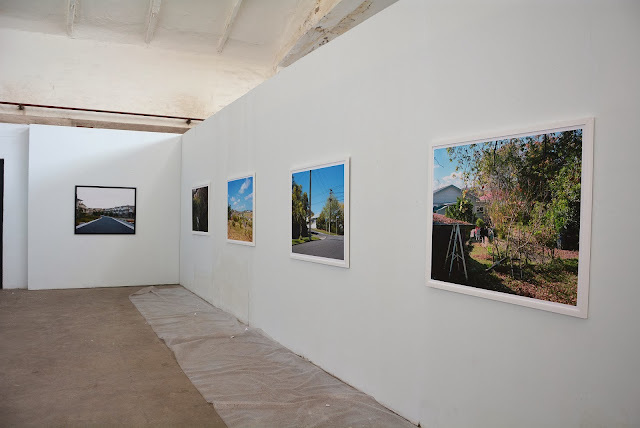 For future PIP exhibitions, I hope both the AFP, PhotoForum, and any other contributions will also present significant work from south of the Bombay hills, to better represent photography in New Zealand. That also would be in the spirit of PIP. Listed on page 411 of the heavy, well-illustrated 432-page PIP compendium (for it is virtually impossible to catalogue or completely note everything on show) is a bio for curator Vivien Shao Wehhao from Wellington. She apparently organised a display of work by Zhang Qian that was listed as 'Straggling & Belonging' in the essential China Pingyao 13th PIP Guide Book. "Struggling", rather than straggling, might have been the word lost in translation. Like dozens of other shows, I think I missed it on my rounds, and in my last minute rush to grab reference pictures of interesting shows with outstanding, typical, or terrible work, to study later. On the bullet train from Beijing to Taiyuan, capital of Shanxi Province with about as many people as the whole of New Zealand, I received a text to say that Zoe Zhang, from Auckland, was coming to Pingyao. 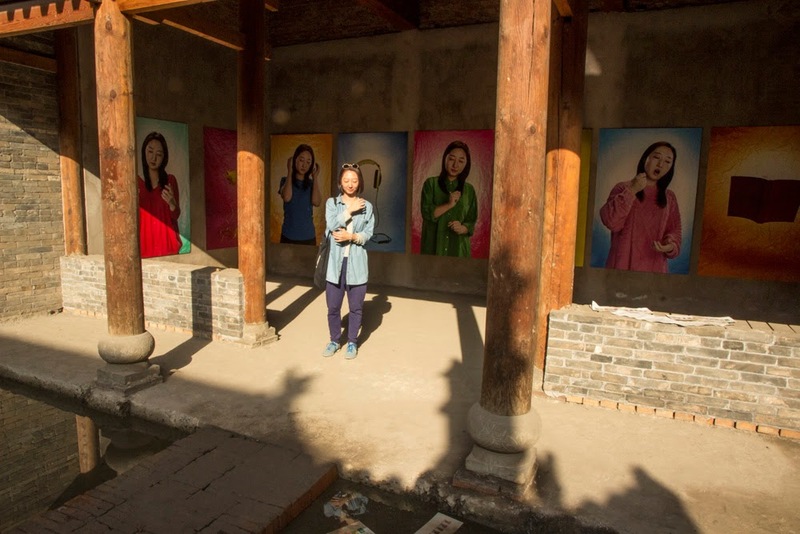 She had visited me in Beijing a few months earlier, and decided to re-present her self-representations from an exhibition of Chinese New Zealanders held at the Wallace Arts Centre in Auckland a year or so ago. 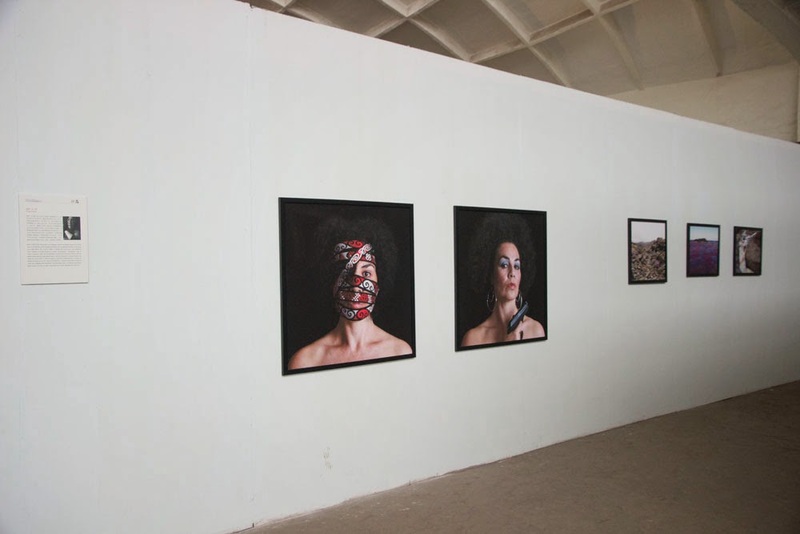 She was a little apologetic because a flood in the Old Cotton Mill had spoiled her chance to present the work in two sets, facing each other. That might have worked fine, but for me the alternating large bold prints of herself and special objects worked fine and the connections were still made, without compromising the main idea based on her holding imaginary objects in her hands and leaving the audience to wonder what she was thinking of. Zoe was a student of some of my past students, like Marcus Williams, and old friends like Allan McDonald and John Malcolm at Unitec, Auckland. 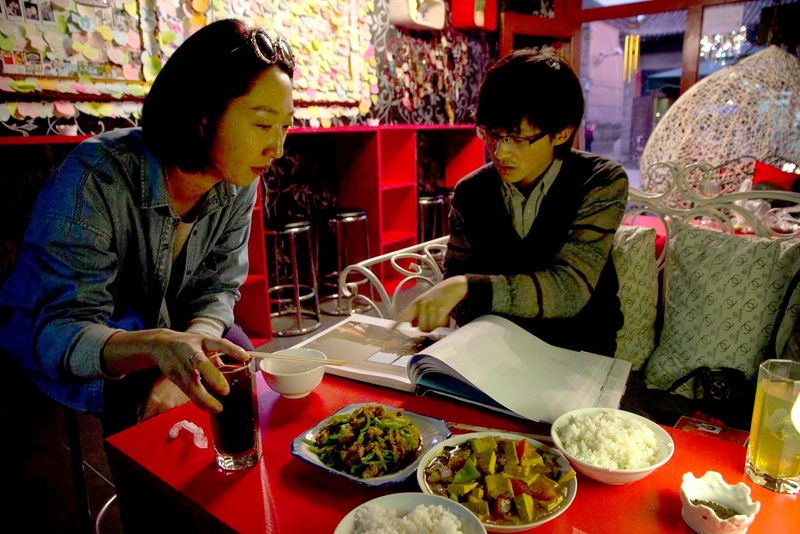 She also studied with my friend KT Ho, at the Auckland University of Technology, so there was a connection there. But what I did not realise at first, was that she is an inspiring networker and an outstanding translator, who time and again introduced me to top photographers and educators and translated for me. Consequently, when the PIP meeting for curators was postponed and left 20 people in the lurch, she and I were able to take control and get a round-table discussion going. 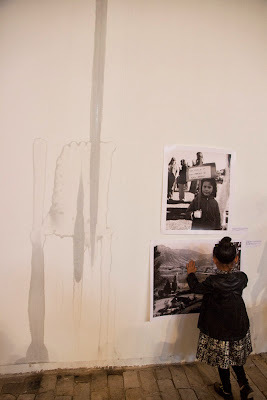 With her help, I was also able to providing a practical demonstration of editing one's pictures for a show, using the work a Shanghai curator had brought to the session. To my delight, I discovered that Zoe's exhibiting neighbour was Fan Shunzan, whom I met in 2011 when he was giving away copies of his home-printed-and-packaged postcards to rich foreigners like me. I had insisted on buying a few sets, which surprised him, because I wanted to share them with friends, and use the example of his impressive imagery and enterprise to inspire my last batches of Elam students before I retired and left the country. This time Fan had stacks of offset printed packs of a dozen colour postcards selling for 10 and 15 RMB (only two or three NZ dollars), with sales adding to his income from occasional teaching. He employed a lovely young local woman to take care of his exhibition and card shop while taking in the competition, and seeing friends at PIP. He's got a fruitful imagination and a nice sense of humour, as well as the enterprise needed to get anywhere from the bottom up in China. He wouldn't name a price for his nearly metre-high prints on exhibition because they were shopworn, but I think he was asking the equivalent of $400 NZ for them. I was tempted, because they are well worth that. 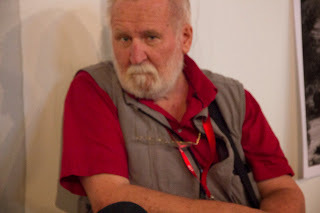 He was not so enthusiastic about Zoe's show, when I asked him to comment, and later, over dinner, I noted that he puzzled over the meaning of work in Pictures they Want to Make... Which is precisely what events like PIP are all about - being exposed to unfamiliar work, and with luck, learning to cross barriers and getting help to figure it out for oneself. My own exhibition, 'Tint: a selection of New Zealand photographs 1868-2012 from the collection of John B Turner,' was a late addition because indications were that I was not been invited to exhibit this year. I wrote most of the introduction for an intended catalogue but had no time to edit, translate or publish it within the brief time frame. Nor contact all of the sources of the pictures, which had to be cut back from 44 to 36 and downsized to fit the allocated space. Consequently, I did not show work by either John Fields or Fred Muir, mentioned in the compendium. Nor did I have time to renumber and improve the design of the PIP translated the wall labels. Bi-lingual captions are a must for the mainly Chinese audience which wants to understand the meaning/s of the images. The photographers represented were Herbert Deveril, DL Mundy, American Photo Co (John McGarrigle) (2), William J Harding, James Bragge (2), Alfred H Burton (3), Arthur Northwood (2), William or Fred Tyree (3), Edwin K Pollard (Tyree studio), James McDonald, G Leslie Adkin (2), JW Chapman-Taylor, John Pascoe, Les Cleveland, W (Bill) Walker, Ans Westra, Diana Wong, John S Daley, Alan Leatherby, Glenn Busch, Mac Miller, Bruce Foster, Max Oettli, Paul Gilbert, Peter Peryer, Peter Black, and one unidentified 19th century practitioner who copied another's image. The loose theme of the display was a version of New Zealand's history as a colony, which I was able to expand on in both my official and spontaneous floor talks. The digitally enlarged copies of original vintage albumen and silver prints, and facsimilies of 40 year-old gelatin silver and gold-toned POP "new" prints that I made from original negatives in the Alexander Turnbull Library, old National Museum, Nelson Provincial Museum and other sources, were made big for easy viewing and enjoyment from the rewards of close scrutiny by a new audience. Most were not as big as I had intended, but they looked pretty good, I think, and certainly received a lot of interest. The more recent works, unfortunately, had to go on the shady wall opposite the Barker, Deveril, Mundy, Bragge and Burton works. But such is Pingyao. 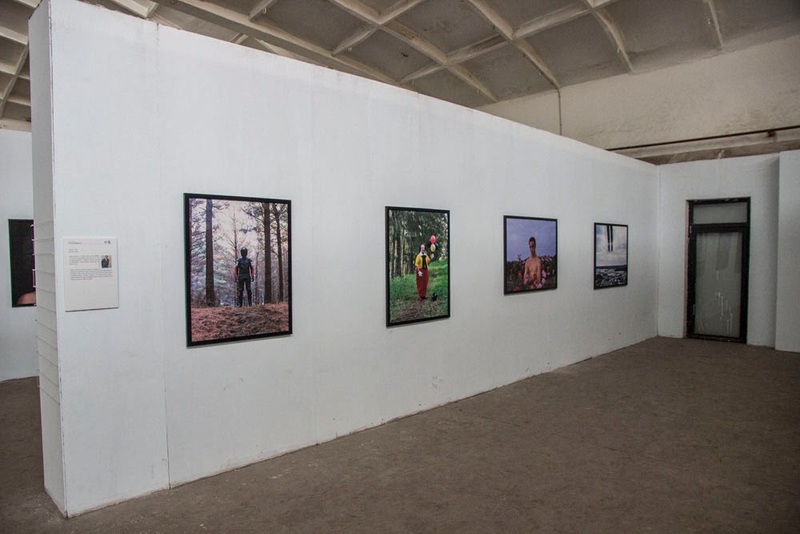 It is not an ideal exhibition venue except for having a huge audience and networking with accomplished foreign and Chinese mainland photographers and promoters. 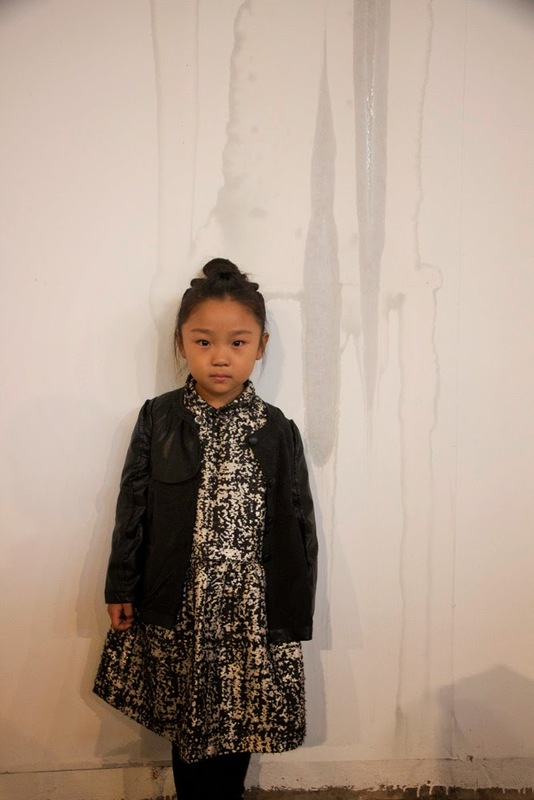 I don't want to make too big a song, to spoil the dance about it, but one of my unexpected PIP highlights was when Miao Miao, a lively five year old local girl, danced for me in the middle of my exhibition. Dragged around by her big brother, who owns a small restaurant in Pingyao, I gently asked her not to touch the prints when I saw her feeling a print that had been shifted and placed low to rescue it from rain dripping from the roof. Not wanting to extinguish her spark, I asked if I could take some pictures of her, and later, I asked if she believed in ghosts? She was scared of them, she said, so I told her how James Bragge had made the ghosts appearing - or disappearing - in his celebrated picture of the Bank of NZ corner in Wellington around 1879. She said she was still scared after that, so I showed her how to turn my clever PIP translator, Julia, into a ghost. with expanded captions. Very soon I should have loaded the installation shots that I owe to all of the living contributors, individuals and institutions, to whom I give my grateful thanks. Their pictures continue to inspire and delight me. 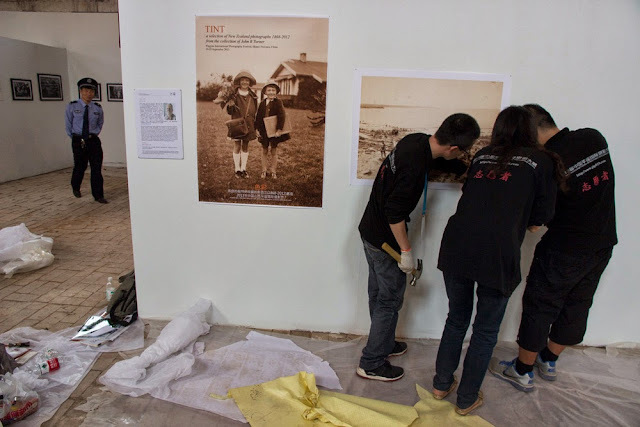 As well as promoting fine New Zealand art, we are, I hope, encouraging mainland Chinese, and others, to think about starting their own photograph collections. 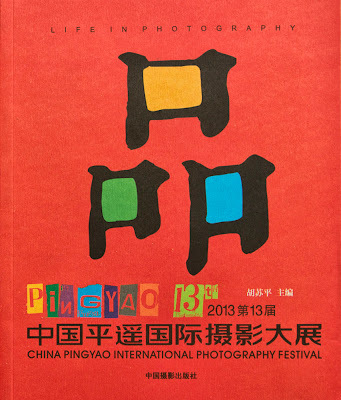 I had positive comments from many established Chinese photographers and curators for my early start to collecting. The only criticism, twice voiced, was that it would have been better (for them) to see the original prints that I had brought from New Zealand. 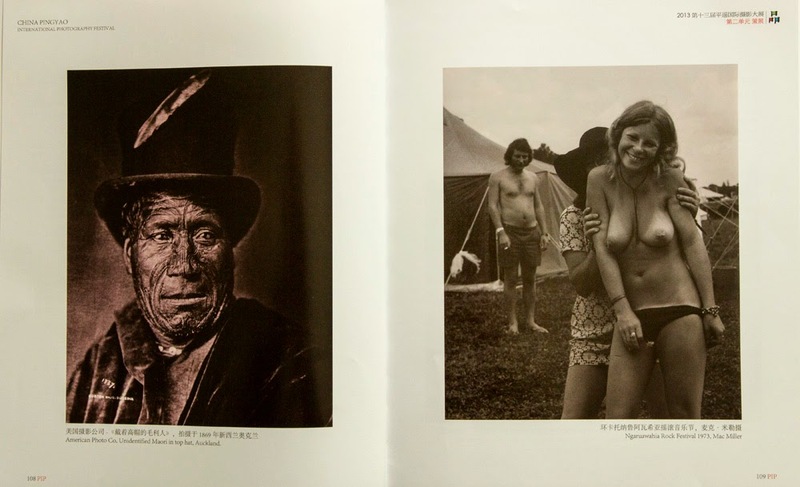 Viewers were particularly impressed when I pointed out that a different copy of Peter Peryer's multiple original print (the cover image from PhotoForum No 33, August/September 1976) was currently being auctioned at Webb's in Auckland for around $NZ5000 (RMB 30,000), when I had purchased it with the other nine pictures from his Mars Hotel portfolio for $100, 37 years ago. We can't expect Chinese mainlanders to buy many New Zealand prints but we can show by example, the benefits from supporting talented artists at the beginning of their careers, when they most need it. PIP, in fact, does this well by providing a vital, imperfect environment at low cost, without the high art pretentions expected of a dealer gallery. Then it is up to anybody with eyes to sort out for themselves which work is entertaining, enlightening, or desirable? We don't need to be told when we come across the rare life-changing work, but image by image, we can learn more about our world and ourselves. 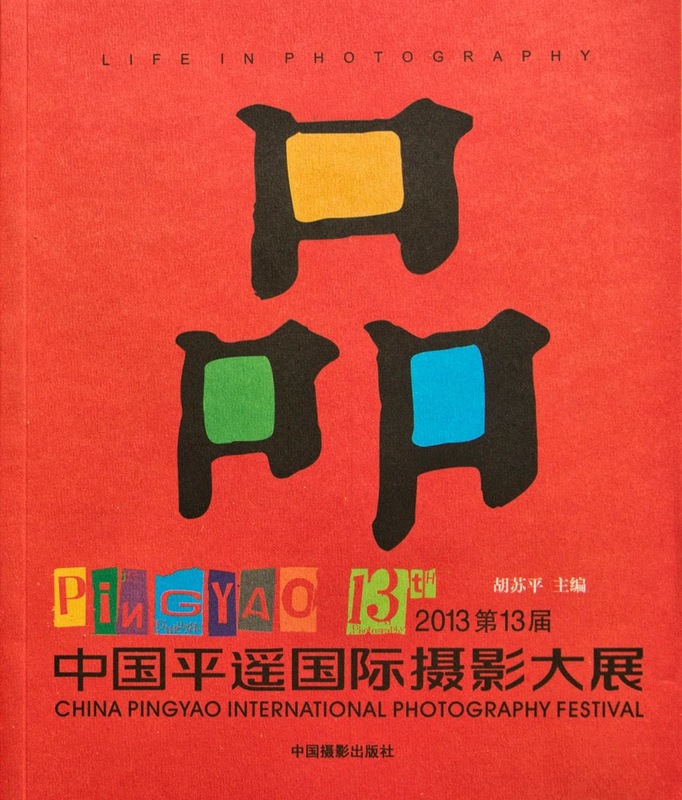 The PIP 2013 compendium, titled 2013 China Pingyao International Photography Festival, will not be available from New Zealand shops because PIP's local government and central government backers do not print enough, and don't seem to understand that what happens at PIP is of interest to a far larger audience than just those who can attend the festival. 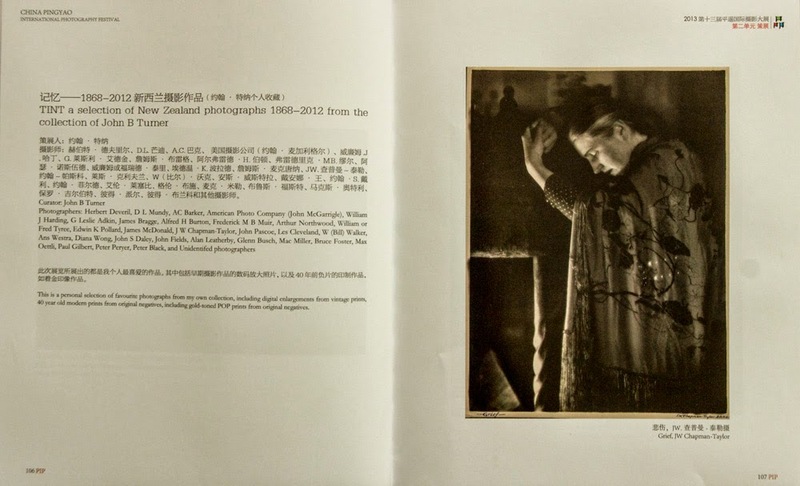 They might not sell like fresh dumplings, but their yearly publications should be treasured as a record of the progress of photography as a means of communication and expression in China. As such, they should be in every important art library. But having said this, my confidence was dented when I could not readily get approval from the best Fine Arts Library in New Zealand (Elam's) to buy the copy of last year's compendium that I had purchased on spec for them. 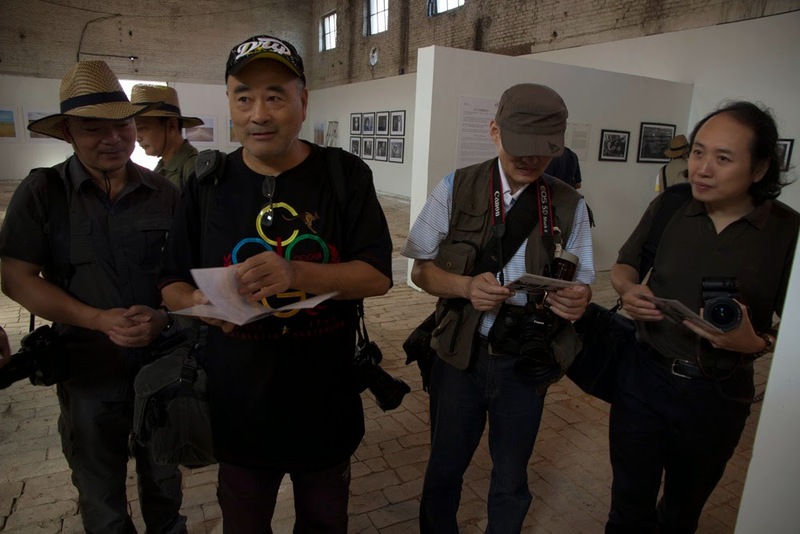 Chinese photography, you see, like New Zealand photography 40 years ago in our own country, is not yet being recognised for its scope or vitality. 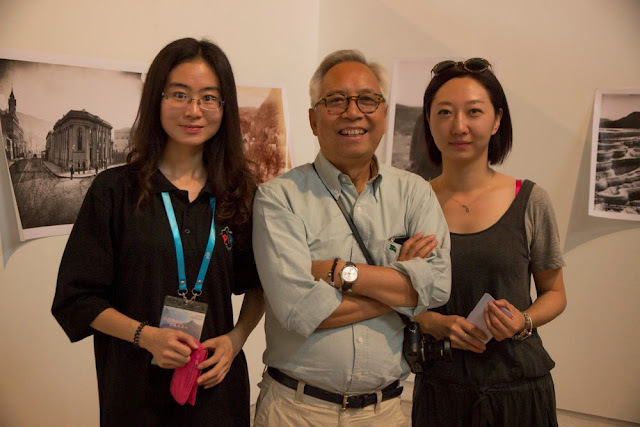 Even PhotoForum, understandably, because of its primary mandate to promote New Zealand photography, has been slow to showcase outstanding work from The Peoples Republic of China. 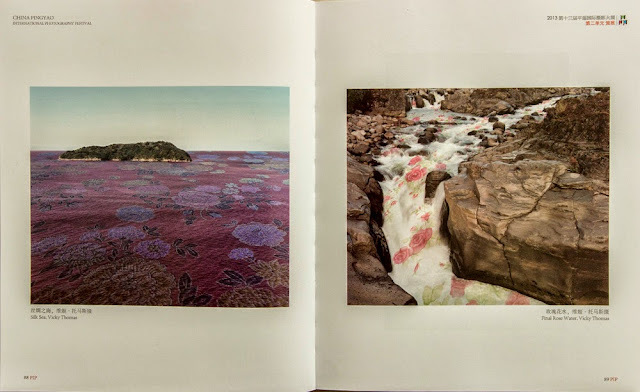 Nor, for that matter, is the New Zealand art scene properly celebrating the work of Chinese New Zealanders like Diana Wong and KT Ho. 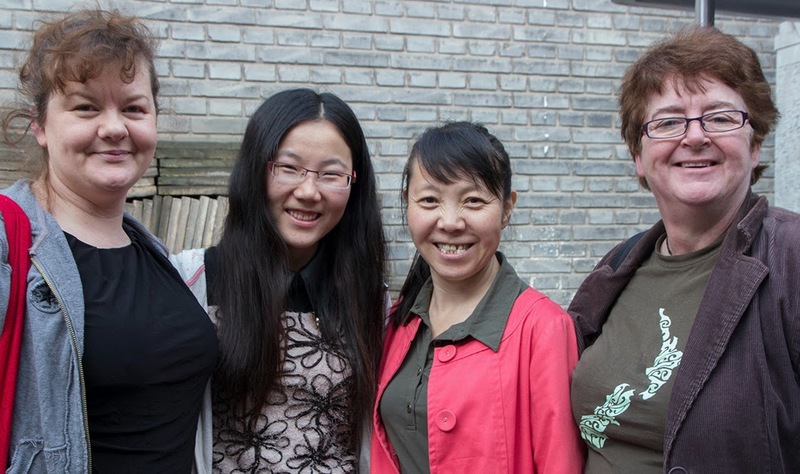 Part of the problem is the Chinese reticence to put themselves forward, but also there can be a language and cultural barrier, not to mention an individual's personality, behind their modesty. 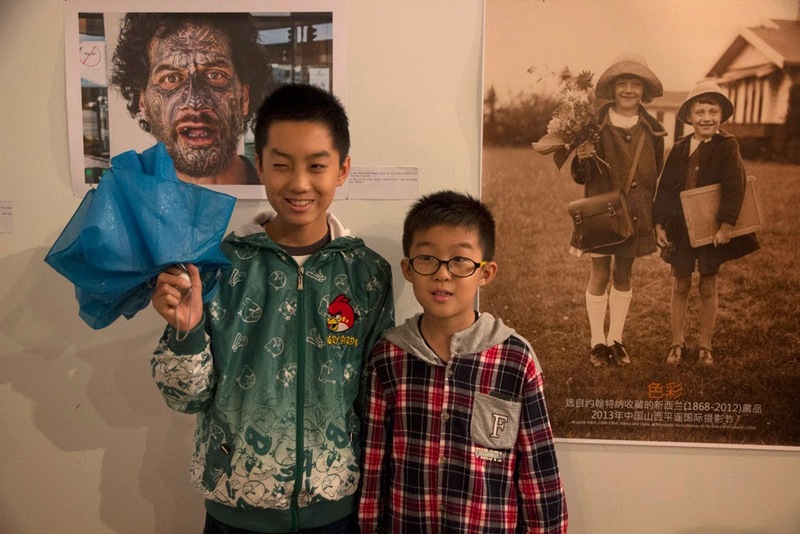 Our NZ Chinese artists have their own clubs, such as Photo Whisper, and the United Chinese Photography Association of New Zealand, which recently had a show in Parliament Buildings, opened by Prime Minister John Key. 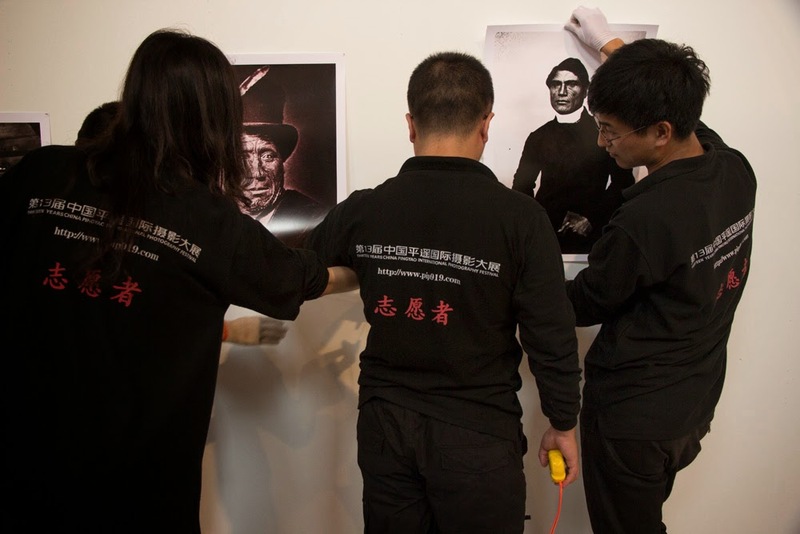 They also produced a book, The Land of the Long White Cloud - New Zealand through Chinese Lens (sic.) as a heartfelt eulogy to the natural beauty of our small island nation, expressed, usually, with exceptional technical competence. Yes... but...! I am not certain, however, if anybody capable of writing a critical review was ever shown it, let alone giving public expression of the serious attention it deserves. Nor is going to be easy to get New Zealand institutions to exhibit outstanding Chinese photography in meaningful ways, or within the rapid timelines expected by many Chinese. We all know that pictures can still strip away some of the language barriers and political grandstanding that tends to stunt serious attempts to communicate and educate. New Zealanders know that the true value of overseas experience is to discover who they are and what it means to be a citizen of the South Pacific. 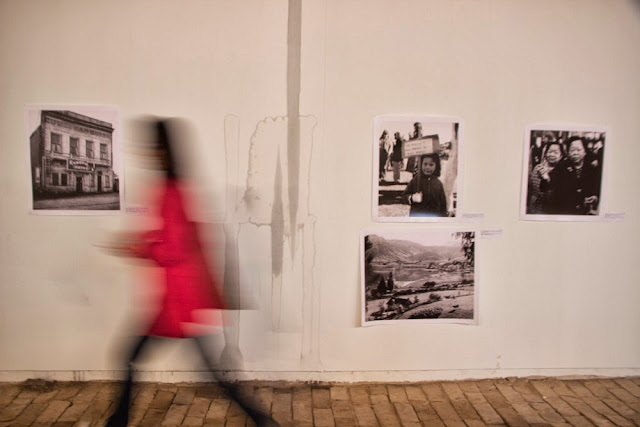 From this end, in China, there is a queue of exemplary photographers who would like to show their work overseas, and study at first hand the work of admired occidental peers. 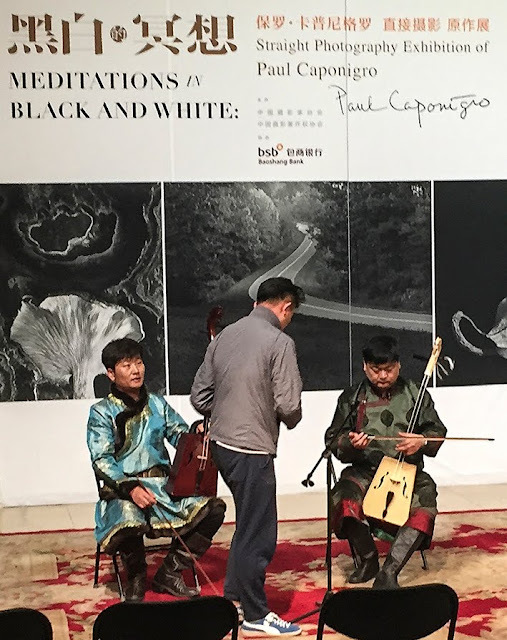 All they need is the kind of helping hand extended by practitioners from all around the world, whom they meet at Pingyao and other festivals, which are veritable hives of networking and good will. Note. Unless otherwise stated I am guilty of taking these photographs.